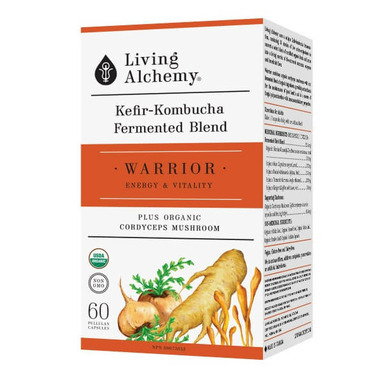 Unleash your inner Warrior with a fermented, activated blend of siberian ginseng, maca, baobab, turmeric & ginger plus cordyceps mushroom. Support for balanced hormones, vigor and everyday vitality for both women and men. 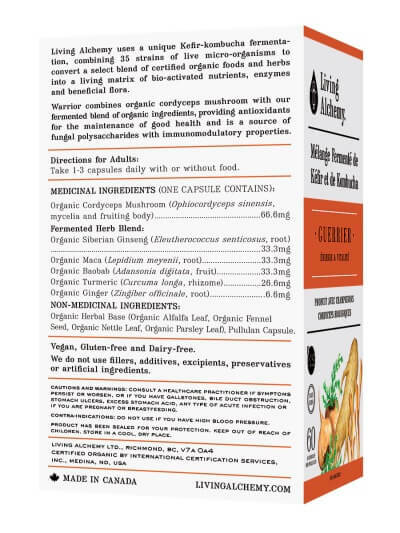 Fermented foods have been used throughout time in ceremony and as an enhancer to virility and vitality. 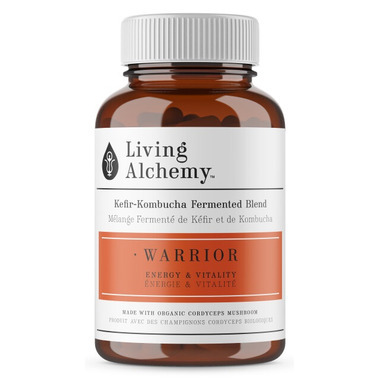 This formula combines ancient traditions to provide an array of highly active unbound nutrients from herbs and roots ritually used to optimise vitality and performance. Directions: Adults: Take 1-3 capsules daily with or without food. Caution: Consult a healthcare practitioner if symptoms persist or worsen, or if you have gallstones, bile duct obstruction, stomach ulcers, excess stomach acid, any type of acute infection or if you are pregnant or breastfeeding. Do not use if you have high blood pressure.